Signum’s sister company Hysterion Records is launched today. 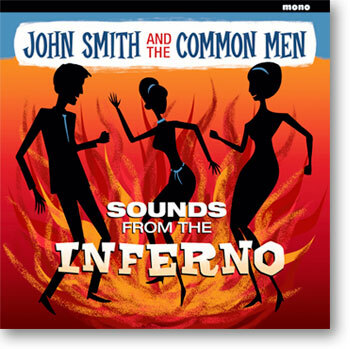 The first release is the vinyl-only 7″ EP Sounds from the Inferno, credited to fictional group John Smith and the Common Men. The a side is ‘Three Guitars Mood 2’, the song played in the first episode of Doctor Who almost 50 years ago. The b side comprises ‘The Eyelash’ and ‘Latin Gear’, two tracks heard at the Inferno nightclub in the 1966 Doctor Who story The War Machines. This is the only commercial release for this rare library music. Sounds from the Inferno is a numbered limited edition of 1000 copies, available from independent shops as part of this year’s Record Store Day.